A sleep disorder is a condition that disrupts your overall quality of life. It can affect a child, teen, parent, single adult and the elderly. Huge populations in India have one or more sleep disorders although most of them are completely unaware of it. Many of those who are aware of it seldom choose to seek required help. Due to advances in the science of Sleep Medicine, help can be easily obtained for those who suffer from sleep disorders. Central sleep apnea is a breathing related sleep disorder that causes the body to reduce or stop breathing during sleep and this occurs as an on-and-off cycle. It is a direct consequence of a problem in the heart and brain. It differs from obstructive sleep apnea (OSA) because the problem is not caused by a blockage of the airway. Sleep related bruxism is a condition that involves the clenching or grinding of teeth during sleep. The jaw commonly contracts while you sleep. However, when these contractions are very strong, they produce the sound of tooth grinding. This causes significant dental damage by wearing of the teeth. In severe cases, hundreds of events can occur during the night. In milder cases, the grinding varies from night to night. It is a common sleep disorder and about 30% of adults show symptoms of insomnia. Less than 10% of adults are likely to have chronic insomnia. It is more common in elderly people and women. Few medical conditions cause insomnia, or it can be a side effect of certain medications. Narcolepsy is a serious, chronic neurological disorder caused by the inability of the brain to regulate sleep-wake cycles normally, thereby causing excessive daytime sleepiness. Obstructive sleep apnea (OSA) is one of the most common sleep related breathing disorders that causes your body to stop breathing during sleep. This condition occurs when the tissue in the back of the throat collapses in turn blocking the airway and this prevents air from reaching the lungs. It occurs because the muscles in the throat relax when you sleep. Gravity then makes the tongue to fall back and block the airflow passage. Airway blockage can happen a few times or several hundred times a night. Periodic limb movements occur when you have brief episodes of simple, repetitive muscle movements that you are unable to control. They usually do not prevent you from falling asleep but they severely disrupt your sleep at night. This in turn can make you very tired during the day. They do not involve stretching a muscle, change in body position or a cramp. Instead, the movements involve the tightening or flexing of a muscle and often occur in the lower legs. Restless legs syndrome (RLS) is a condition when you have a strong tendency to move your legs and the urge is too hard to resist. It is accompanied by other uneasy feelings deep within the legs. You can have a tough time trying to explain what it actually feels like. The sensation can be like prickling, burning, itching and tingling. It can also be extreme painful. These feelings, along with the urge to move, are made worse during sleep. Lying down or sitting still can be extremely hard. Temporary relief occurs when you walk and move your legs and this relief comes right away. 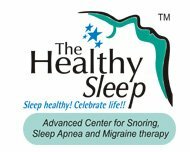 Snoring is a sound that is produced in the upper airway of the throat when you sleep. It normally occurs when you breathe in air and is a sign that your airway is being partially blocked. This sound is made as air intake causes tissue in the back of your throat to vibrate. It can come from the nose, mouth or both and can occur during any stage of sleep. For people who snore daily, it is most common in the REM and slow-wave stages of sleep. Upper Airway Resistance Syndrome (UARS) is a common sleep disorder characterized by airway blockage to breathing during sleep. The main symptoms include daytime sleepiness and excessive sleepiness and fatigue.